You are here: Home / PBMA News / GTechniq EXO Ultra Durable Hybrid Coating 30 ml. New & Improved v4! New & Improved! The new GTechniq v4 – It’s the same great gloss, slickness, and water beading you know and love, but with a couple more bonus features! Better durability – improved by 30%! Up to 2 years of protection on a daily driven car! Double the UV absorption and dirt repellency of Crystal Lacquer! GTechniq EXO is a paint coating that protects virtually any surface from dirt, sun exposure, and moisture permanently. Durability tests prove that after 600 washes, water still beads on surfaces treated with EXO. Hybrid coating technology gives automobiles, aircraft, boats, and recreational vehicles unbeatable protection from the elements. The science behind GTechniq EXO is amazing! It contains an organic element and an inorganic element, which both have a UV filter. The inorganic element forms a strong chemical bond with the substrate to which EXO is applied. The organic element provides the functional dirt and water repellency that you can see with your own eyes. What’s even more remarkable is that water beads on a EXO-treated surface in almost spherical drops. They look like little pearls sitting on your vehicle’s finish. These water beads roll off easily, leaving a spot-free vehicle. EXO produces a hard-as-nails, glass-like shine on all colors. When you use GTechniq EXO Ultra Durable Hybrid Coating, durability is measured in years, not weeks.The hydrophobic coating stands up to windshield wiper usage for up to 2 years. EXO remains hydrophobic after years of regular washing and after 2 years of sun exposure. But GTechniq EXO isn’t all about protection. It also gives surfaces a high gloss and a slick feel like the best car wax. The best part is that the EXO finish will remain slick and shiny for much longer than any traditional wax or paint sealant. You’ll enjoy years of surface protection with just one application! 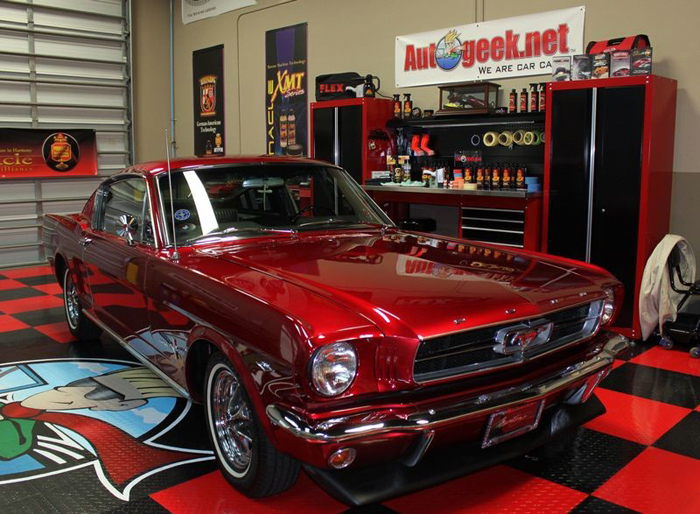 1965 Ford Mustang machine polished to perfection using Pinnacle Advanced Swirl Remover & Advanced Finishing Polish. Paint was then prepped using Wurth Clean-Solve before GTechniq EXO was applied as the sole form of paint protection. EXO needs to be applied to surfaces that are free of contaminants and defects. Clay vehicle to remove above surface contaminants. If needed, machine polish paint to remove swirls, scratches, water spots, and anything else that hinders the shine. 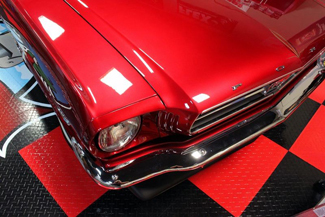 After paint is polished and all defects are removed, chemically strip the paint using GTechniq Panel Wipe Coating Prep. This will remove any polishing oils so EXO can properly bond to the surface. Working on one panel at a time, apply EXO directly onto a clean microfiber towel. From our testing, we’ve found a towel with a flat weave or short nap to work best. Evenly distribute product using minimal pressure. Go over each section 2-3 times to ensure even coverage. Immediately buff off residue using a clean, dry microfiber towel. It is important to immediately buff the area that EXO was applied to. Apply a second coat of EXO twenty minutes after first coat to ensure complete coverage. Avoid getting vehicle wet for 48 hours. Maintain the shine and protection using GTechniq W1 G-Wash and C1.5 Silo Seal.